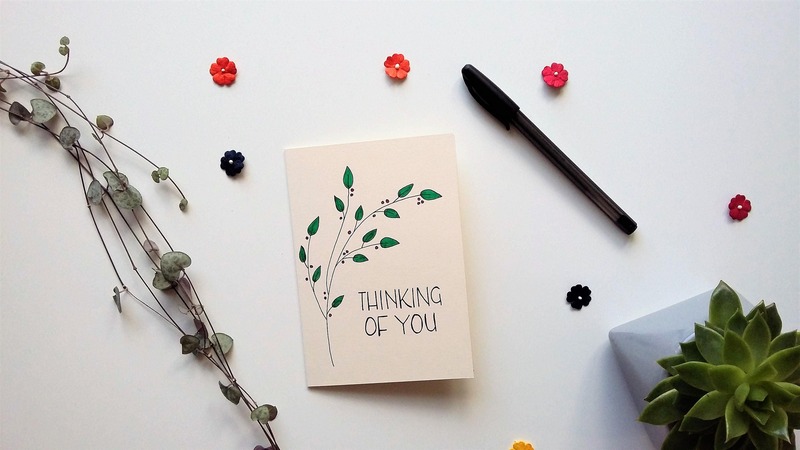 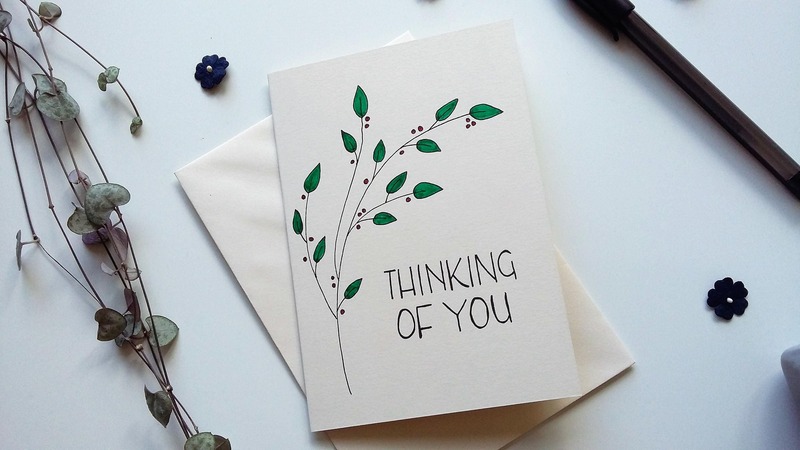 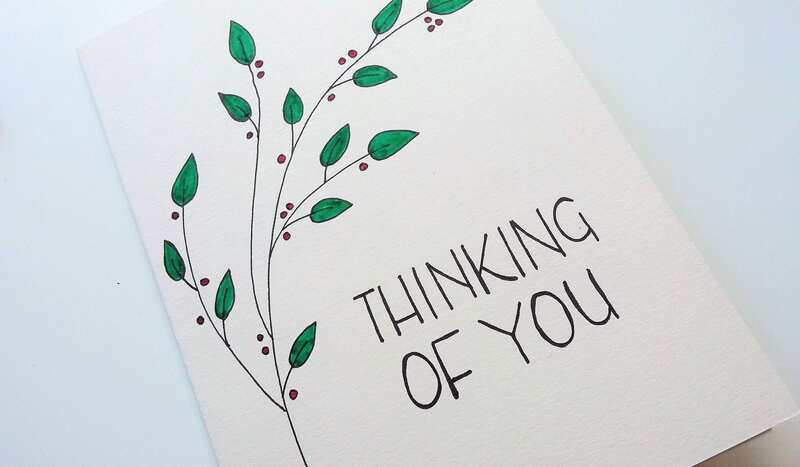 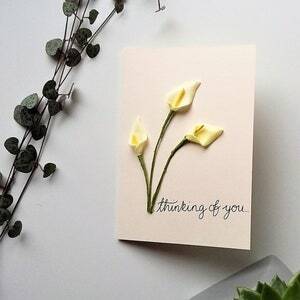 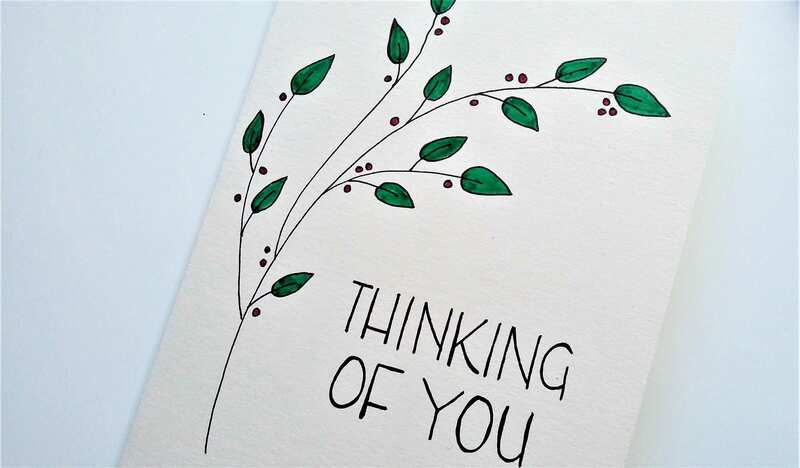 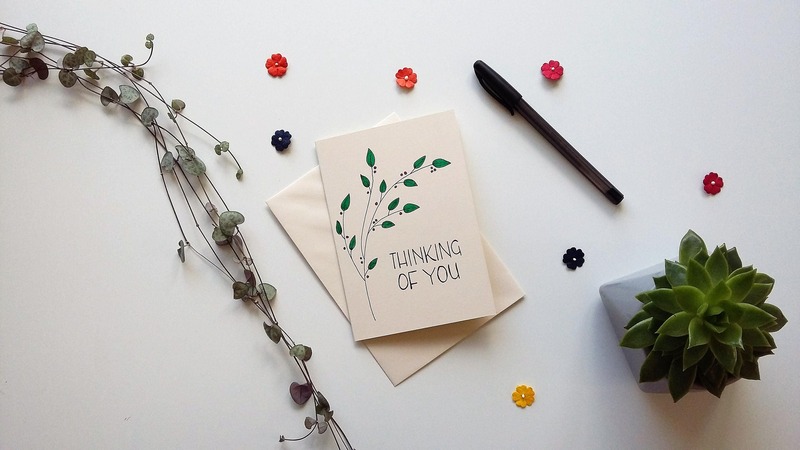 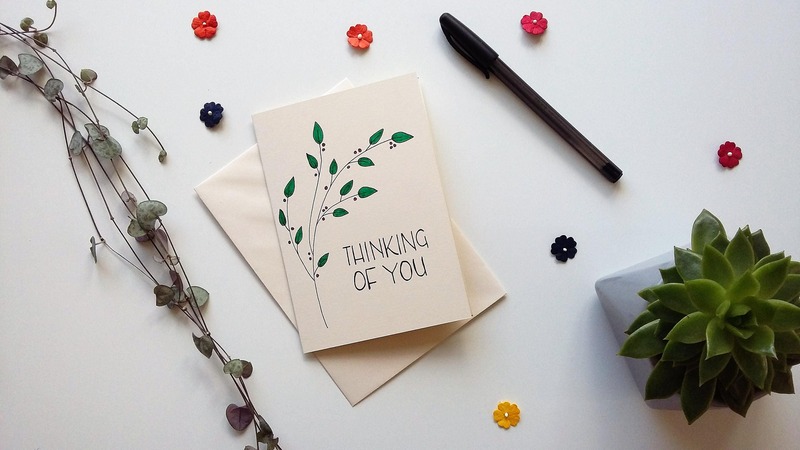 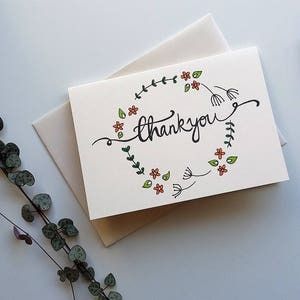 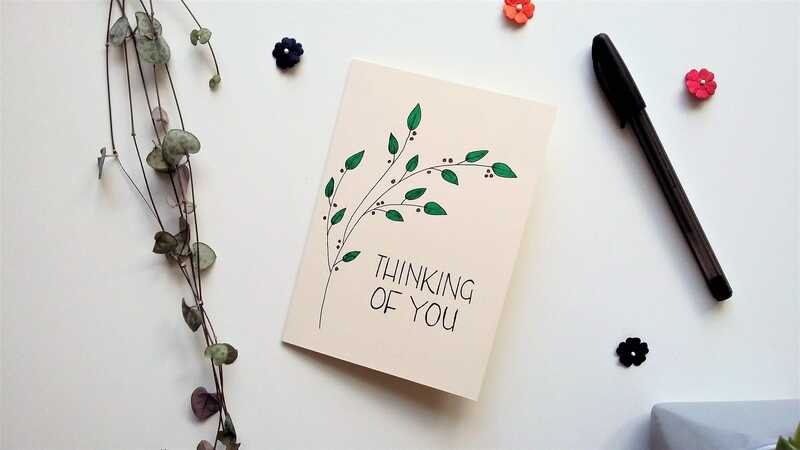 The greeting card features delicate pen-drawn leaves across the left hand side of the card, and the message 'Thinking of you' in a bold modern font. 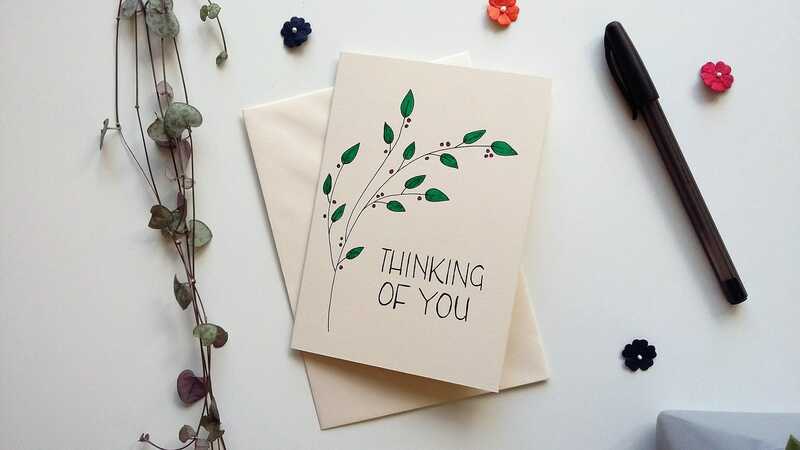 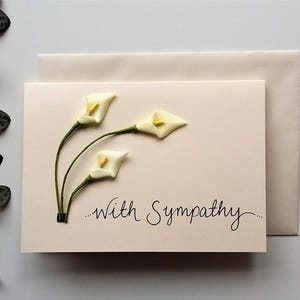 The ideal card to send your love after a bereavement, to commiserate and encourage after a disappointment, or just to let a friend know they're in your thoughts. 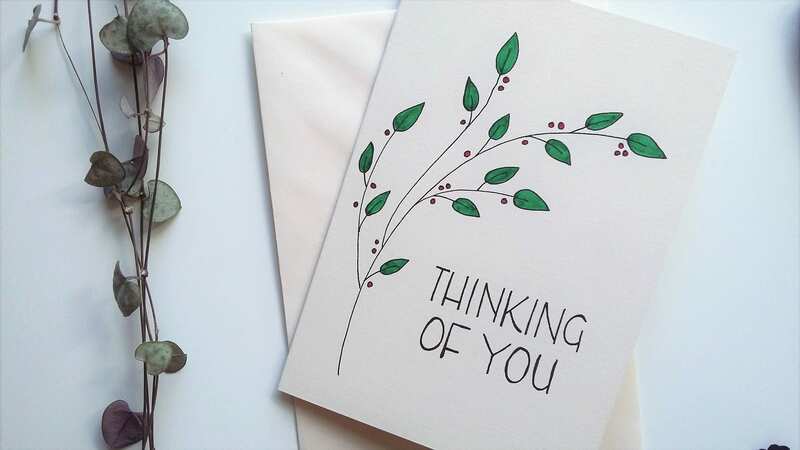 **Due to the handmade nature of this card, the actual design may differ very slightly from that shown. 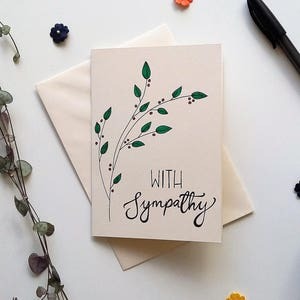 A perfect card for a sad occasion. 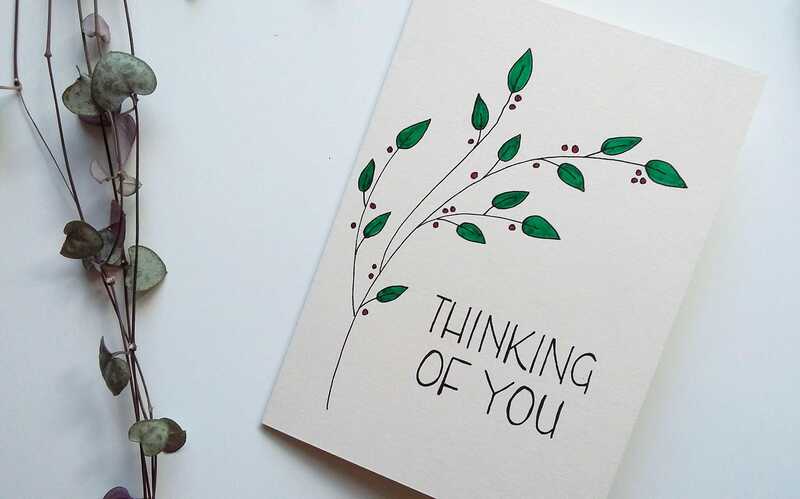 I appreciate getting to give something carefully hand made that is as lovely as this.